Our PVS-IS2 is a professional grade two inch PVC vent screen designed to protect high efficiency furnaces, power vent hot water heaters and boilers from insects and animals. 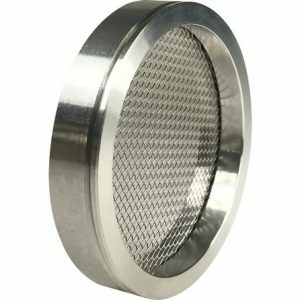 Made from anti-corrosive materials, this vent screen is used by professional plumbers, HVAC technicians and pest control specialists. 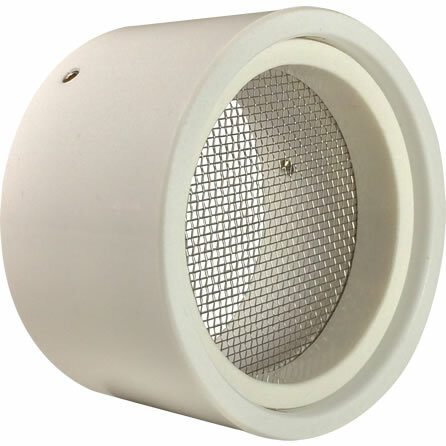 Fitment: The PVS-IS2 vent screen is designed to install inside a 2″ PVC vent termination hub or coupling with an inside diameter of 2-3/8″. Let’s face the facts. Ordinary rodent vent screens do not keep out bees, wasps and other insects that would just love to nest inside your home. Our PVS-IS2 two inch PVC vent screen is designed to remedy this problem by creating a breathable barrier that can’t be penetrated by insects. Though the PVS-IS2 will not allow animals or insects to enter vents, ample airflow is maintained so that high efficiency boilers, furnaces and hot water heaters can operate normally during seasons when insect activity poses its greatest threat to high efficiency appliances. 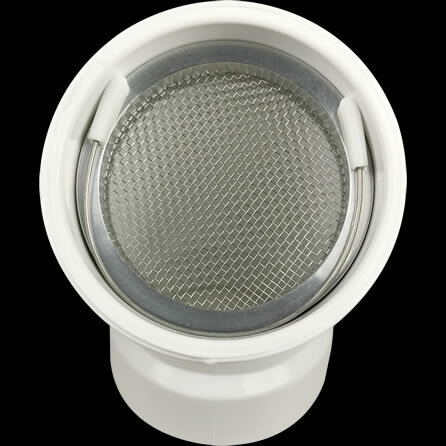 Used by professional plumbers, HVAC technicians and pest control specialists, the PVS-IS2 two inch PVC vent screen is manufactured by us in the United States with high quality materials that also originate from the United States (100% American made). 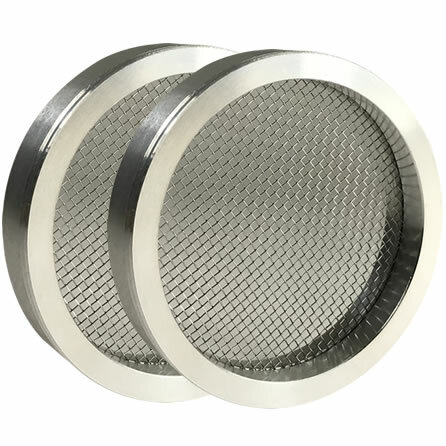 Weighing in at less than one ounce, this vent screen is constructed with durable 316 stainless steel mesh and is enclosed within a tough 6061-T6 aluminum shell. For added convenience, each PVS-IS2 we sell includes one stainless steel retaining wire that will securely lock the vent screen in place right within a standard PVC intake and/or exhaust vent pipe hub or coupling. 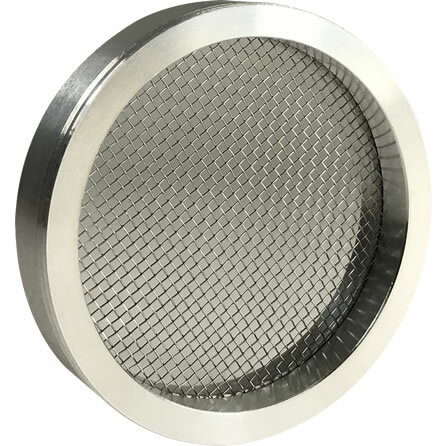 Installed in as little as thirty seconds, without the need for caulk or special tools, this vent screen has a very small footprint and will hardly even be noticed inside an intake and/or exhaust hub. Whether you have a residential or commercial high efficiency furnace, power vent hot heater or boiler that utilizes 2″ PVC elbow vents, the PVS-IS2 will guard your investment against insect damage in addition to threats posed by animals and outdoor debris. Even when a straight two inch PVC vent pipe exits a home or business, the addition of a standard slip-on coupling and our PVS-IS2 can prevent hundreds or even thousands of dollars in damages caused by insects and rodents. Please note that the PVS-IS2 vent screen is designed to protect high efficiency furnaces, hot water heaters and boilers during spring, summer and fall when temperatures are above freezing. For example, the PVS-IS2 will keep insects out of furnace intake and exhaust pipes during the warmer months to safeguard against the formation of nests deep within ventilation pipes and/or inside appliances. During the summer, when furnaces are not in use, the PVS-IS2 also allows for normal central air conditioner operation and condensate to drain properly. Especially in late summer and early fall, when the cooler evening temperatures force bees, wasps and other insects to search for a warm place for their survival, the PVS-IS2 offers optimal protection for home owners and businesses while allowing furnaces to operate normally. In regions that experience swarms of beetles (ie. ladybugs), cicadas, midges, seed bugs and stink bugs, the PVS-IS2 is the best defense against unwanted repair bills. While locating and removing inactive nests may result in a repair bill of only $200-$300, active nests within furnace cabinets may exceed $1,000 to remove and return the appliance to service. It is important to note that many consumers incorrectly believe rodent screens will protect their high efficiency appliances from insect related damage. Close mesh rodent screens, like the one pictured to the right, not only offer poor airflow during winter but also provide bees and wasps protection for their nests. As noted on our best practices page, the PVS-IS2 vent screen should be used on intake and exhaust vents when insects are active and the PVS-RS2 used when temperatures near freezing and throughout winter. When used as intended, both the PVS-IS2 and PVS-RS2 maintain the balance of all-season vent protection with the air and gas requirements of modern day high efficiency appliances throughout all seasons and temperature ranges. If you need assistance with measuring your existing vents, please visit our sizing page. In addition to pictures, a video is available to help walk you through the process of identifying the size of your boiler, furnace or hot water heater vent terminations.